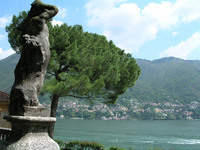 Pliny the Younger had a house on Lake Como and this is one of the possible sites of his Villa Tragedia. 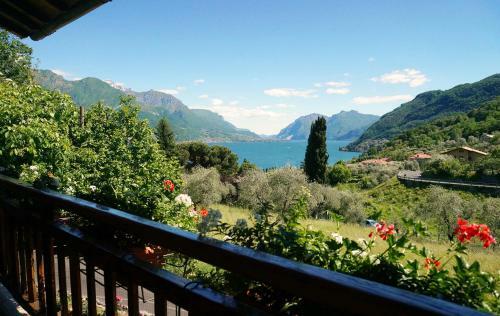 Leonardo da Vinci came here for a wedding and left a message 'These trips should be made in the month of May.' He was correct. 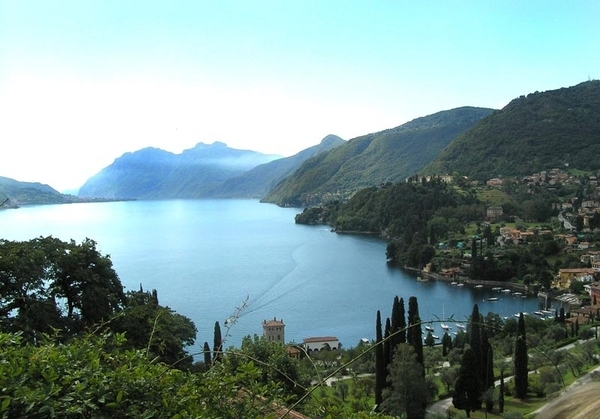 Stendhal wrote that "higher up, the sacred wood of the Sfrondato and the bold promontory, sparating the two arms of the lake .. a sublime and enchanting spectacle, which the most renowned sight in the world ... does not surpass'. 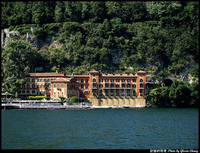 Villa Serbelloni is on the rocky and wooded promontory of Bellagio which divides lake into two legs. 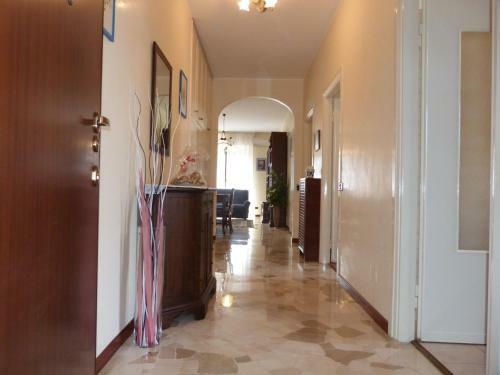 The Villa is surrounded by 20 hectares of park and garden. 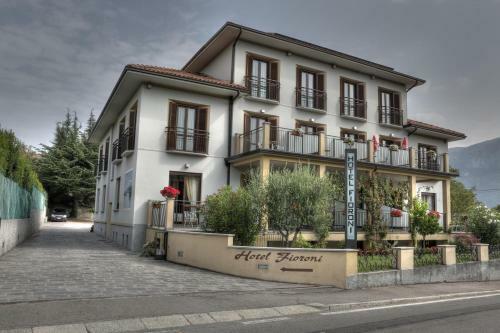 The house was built c1600 for the the Sfondratis family, who owned the promontory. In 1788 it was bought by a Milanese family, the Serbellonis, and redesigned. 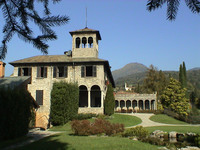 In 1959 the estate was given to the Rockefeller foundation (by Ella Walker, the Principessa della Torre e Tasso) as a conference centre and international study centre for scholars and artists. The lower part of the garden is informal parkland with a long winding drive leading to the main house. 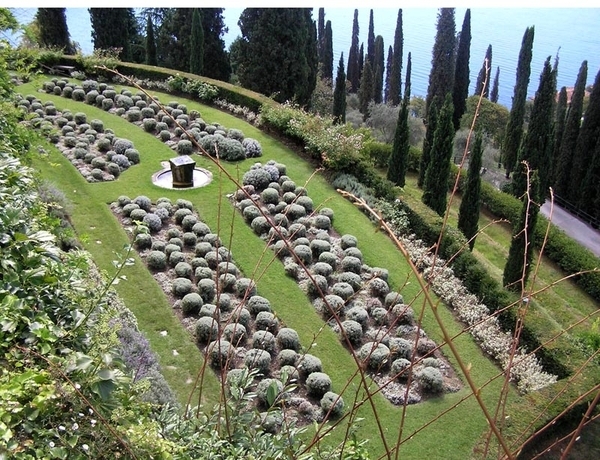 The upper garden is wooded and has a belvedere with a fine view of the Lecco branch of Lake Como. 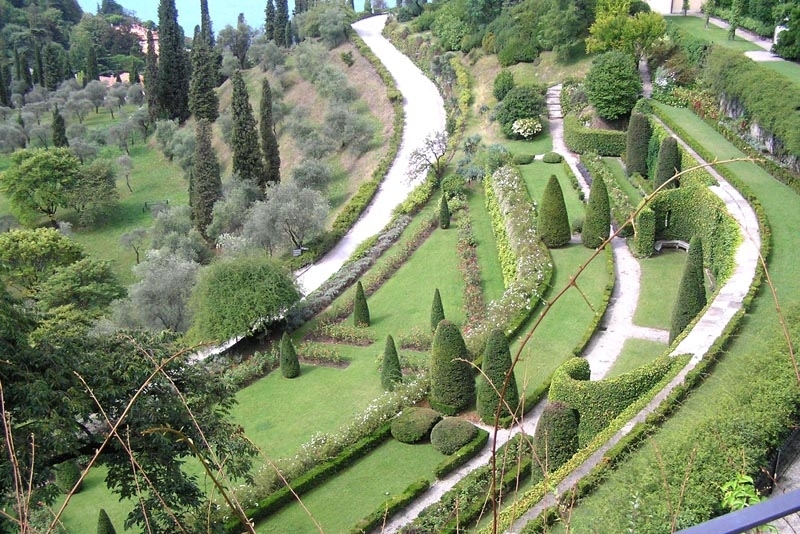 The formal section of the garden, near the house, was laid out in the 18th century and has curved terraces with topiary flowers and shrubs. A small garden has a fountain dedicated to Pliny the Younger (Cecilio Plinio). Opening times April to October. 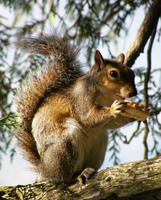 Guided tours available Tuesday to Sunday - 031/950204.